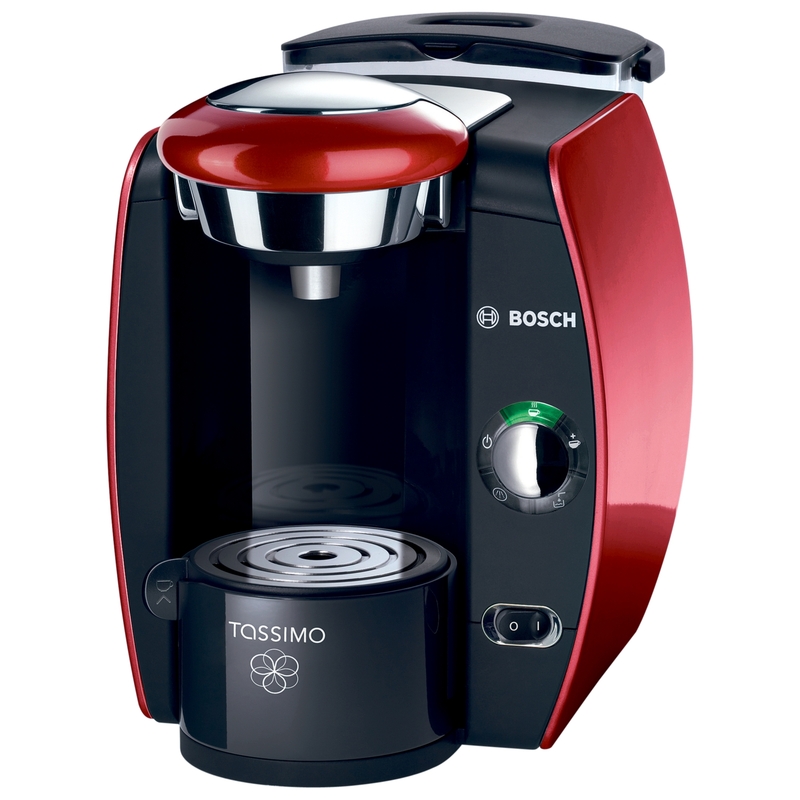 The Tassimo machine is a welcome addition to any hots drinks lover. Served at the right temperature, it really is as simple as placing your cup underneath the tap and pressing a button. In just under a minute, your drink is served. A water tank sits behind the machine which is easy to remove, clean and replace. Once it is filled, you simply lift up the lid at the front of the machine and insert the drink disc of your choice. After ordering a large supply of drinks from the online Tassimo shop, we decided to make 3 different drinks one after the other. This machine has been very cleverly designed. The machine reads the barcode from the disc so it knows which one it is making. Each of the drinks we made, had no taste of the drink we had made previously. Flow heater technology ensures it is served at exactly the right temperature and brewed so nicely that it is just as good or even better than having a drink from a coffee shop. One of the main features we liked was that the water tank does not heat up. Whilst we would recommend that your machine is placed away from any little hands, it is great to know that there is not a trail of steam coming out of anyhwhere. The Tassimo is an absolute joy to use. There are so many choices available online and whilst many of our testers loved the Costa Americano, my favorite was the delicious hot chocolate with the froth ontop. Affordable in price and a very good size, it will not take up too much work top space. It has been said that ‘It is the little things in life’ and this is certainly one of them. If you are looking for a fantastic coffee machine, then look no further. The Tassimo hits all the right buttons.